A child may be placed in foster care because their home is no longer safe, their parents or guardians are no longer able to provide proper care, or the child no longer has a parent or guardian to care for them. 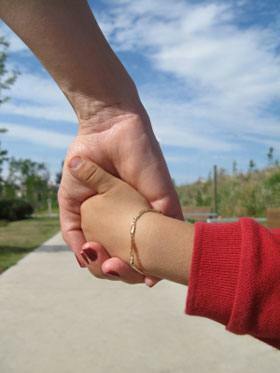 The primary goal of foster care is to return the child to its home – if possible. Unfortunately, many children are placed in Illinois foster care homes which are not safe for them and suffer lifelong trauma as a consequence. Rosenfeld Injury Lawyers LLC is an Illinois foster care abuse law firm that represents children who were negligently placed in these environments by foster care placement agencies. Foster homes are intended to be a safe but temporary home for the child, with the long-term goal of finding a permanent family and home for the child. Although foster care is supposed to provide a safe and supportive environment for children, sometimes the foster home becomes a source of extreme neglect or abuse. Abuse can include physical abuse, sexual abuse, or emotional abuse. A broken foster care system? In situations where the system fails to implement the necessary safeguards to put children in a safe foster care environment or where the foster care agency fails to take notice of the abusive situation, the child may bring a cause of action against the negligent agency for the abusive conduct. Because children cannot bring a lawsuit on their behalf, the involvement of a guardian may be necessary. Some of the foster care agencies serving Illinois include: Lutheran Social Services, Catholic Charities, Little City, Child Link, Childserv, Foster Enterprise and Jewish Child & Family Services. In circumstances where a placement agency had actual or constructive notice of a dangerous situation – yet failed to act – and the individual was repeatedly harmed, a legal claim may be pursued against the agency responsible for overseeing the situation. Because much of the actual harm done to the individual is psychological, it is crucial for the case to be presented by attorneys who are experienced conveying the significance of these life-changing circumstances to a jury who may be hearing about an incident that took place years prior. Rosenfeld Injury Lawyers LLC are proud to fight for the rights of abused children and remain committed to seeking justice for those who have been abused due to the incompetence of a foster care agency. Our team uses proven litigation techniques and has successfully demonstrated the neglect on the part of agencies that were responsible for monitoring the child's care. These agencies were charged with looking after children placed in the homes of temporary or long-term foster families but failed in their duties. As a result, we have recovered significant financial compensation to cover our clients' damages. Our office is headquartered in Chicago, but we regularly handle matters across Illinois and the entire Midwest. Contact us today for a free, no-obligation consultation. Can I sue a foster care agency for abuse? How many children are in the foster care system? What should I do if I suspect mistreatment of a child in foster care? How much are lawsuits against a foster care agency worth? Can I Sue a Foster Care Agency? How Much is a Foster Care Lawsuit Worth? What Should I do if I Suspect Foster Care Abuse? What are the Signs of Abuse in Foster Homes?